The Moorings real estate is a private, distinguished and pristine golf course community conveniently located just a stone’s throw from the beautiful sandy shores of the Gulf of Mexico. 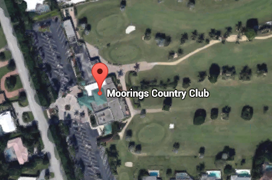 The Moorings Country Club is the only Naples, Florida country club located west of Tamiami Trail (US 41). Ideally situated in the heart of Naples on Crayton Road, The Moorings Naples Florida is merely a 30 minute drive to Southwest Florida International Airport and a 5 minute drive from downtown Naples and Naples Municipal Airport. The Moorings Naples Florida real estate is close to the breathtaking beaches and waters of the Gulf of Mexico, five-star luxury hotels, superior hospitals, medical facilities, schools, upscale shopping and gourmet dining at The Village on Venetian Bay, The Waterside Shops, Mercato, The Coastland Mall, the boutique shops and fine gourmet restaurants of Fifth Avenue South and Third Street South, The Naples Philharmonic at Artis-Naples and The Baker Museum, The Naples Zoo and The Naples Botanical Gardens. 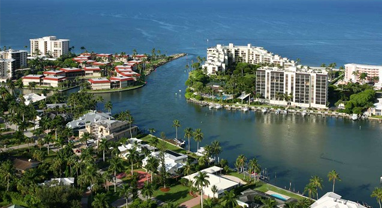 There is a diverse assortment of Moorings real estate for sale; an array of single-family homes, villas and condominiums within and along the outskirts of The Moorings Naples Florida, although these dwellings are not a formal part of a residential development associated with the club. Opened in 1962, The Moorings Golf Course was designed by the renowned architect, Milton Link. 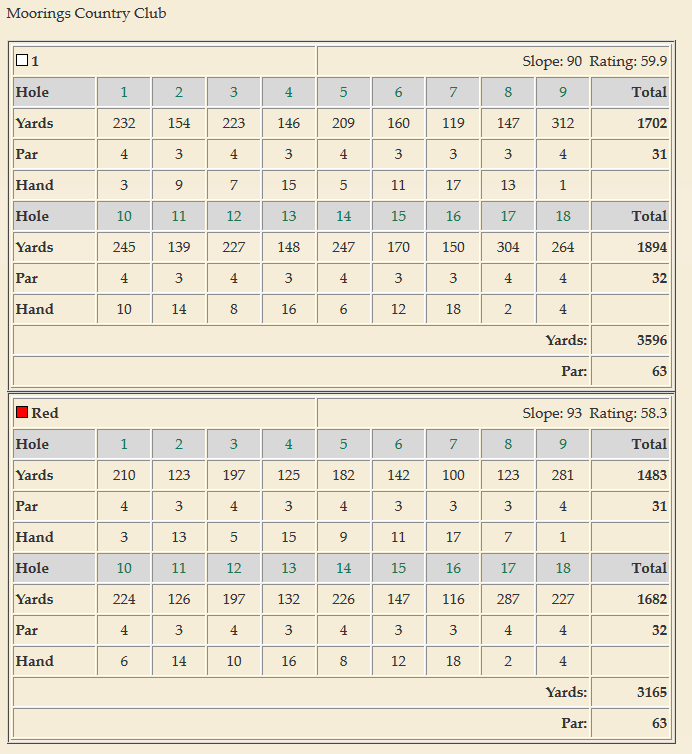 The course was also designed as a classic old Florida style layout with narrow fairways. It is a regulation well-manicured 18–hole par 72 course with newly installed Bermuda celebration grass on the tees and fairways. Although shorter than most courses, The Moorings Country Club is one of the few golf clubs in Naples that is actually walk-able. 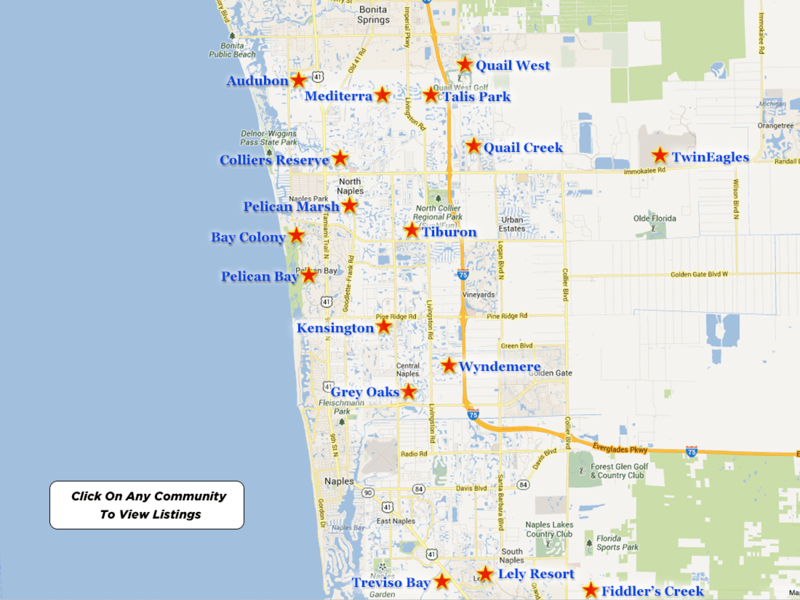 Additionally, The Moorings Golf Course is only one of two golf courses within the city limits of Naples. water lakes, manicured greens, towering oak trees, pines and palm trees, sandy white bunkers, flowering natural vegetation and well-maintained tropical landscaping is intermingled amongst the lovely custom homes, villas and condos. Golf at The Moorings Country Club provides its members with extensive practice facilities for all facets of the game including a driving range, rental carts, rental clubs, pull carts, a putting green, a chipping practice area and hitting nets. 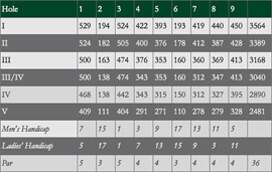 A number of weekly golf events are always scheduled, plus special events throughout the season. Additionally, the Moorings Golf Course has a fully stocked pro shop staffed by PGA professionals. This challenging, yet enjoyable course will have you dreaming of golf not only on the weekends, but throughout the weeks, months and years ahead! Members of The Moorings Country Club are privy not only to exceptional golf, but to an array of benefits, facilities and amenities that include the Clubhouse with beautiful views of the surrounding golf course, providing the members with casual to fine gourmet dining at The Bistro or The Dining Room. 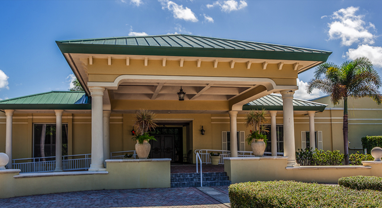 Members regard The Moorings Country Club as their second home, and go out of their way to welcome new incoming members and assist in a smooth transition into the Club. The Club provides a variety of casual and fine dining opportunities including an outstanding Sunday brunch, holiday celebrations, live entertainment, duplicate bridge, mah jongg, poker, bingo, a book club, an investment club and a bocce league. The Moorings Naples Florida is proud of its diverse membership and strives to provide various options to suit every individual’s needs, thereby offering a variety of memberships. There is truly something for everyone…from gourmet and casual dining, golf, an array of social activities and unique private events. Please note The Moorings Country Club offers various memberships including The Non-Refundable Equity Golf Membership, The Annual Golf Membership, The Associate Golf Membership, The Summer Limited Golf Membership and The Annual Dining Membership. Please note that all membership prices and fees are subject to change. For discrete and professional service, please call me to schedule a private viewing of any one of these Moorings properties for sale. If you would like for me to do all of the research for you, please call me with your search criteria and I will email you all of the listings that you should be considering, and that specifically match your lifestyle requirements. 239-963-6590. I have been selling Marco Island and Naples Real Estate since 1978. I make it easy and enjoyable, while presenting you with all of the FACTS necessary to make an informed decision. There is a lot which one needs to take into consideration when buying Moorings homes for sale to insure that you are not only buying the lifestyle that you are searching for; but, that the property does not have any ISSUES and that you are getting a good VALUE.